Look great…. feel great! Aging is inevitable and although some things are out of control there are some ways that you can slow down the process. Making smart choices with what we are putting into our bodies and how we are taking care of our bodies can allow aging to slow down. The good you put into your body can allow it to slow down while eating bad and not taking care of yourself can allow it to speed up. When it comes to eating healthy and watching what we are putting into our bodies this can really play a huge part in slowing down not only the process of aging but can lower the risks of developing certain diseases. Some ways that you can help is by avoiding packaged foods or processed meats. Studies have proven time and time again that eating these things can play a huge risk in heart disease, poor health, or even colon cancer. Try eating more fruits and vegetables and give your body the nutrients that will allow you to live longer and will fuel your body the right way. Following eating healthy is staying active. No matter what you do stay moving and stay active. Whether it’s a high intensity workout or a walk around the neighborhood….do what you can and do it often. Studies have shown that the more a person works out they have a greater chance at having a healthier life. Exercise helps the outside of your body as well as the inside of your body. 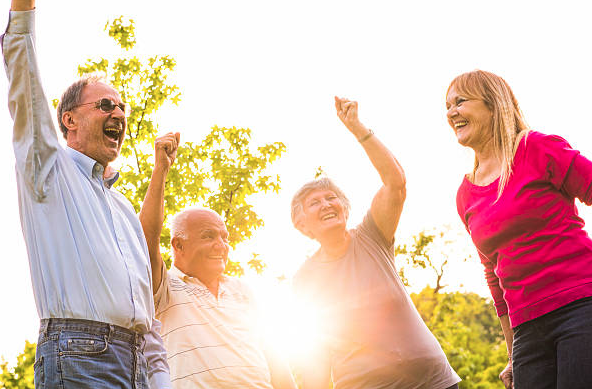 You can reduce the risks of having a stroke, gain confidence and independence, help strengthen your bones, and reduce risks of developing other diseases. Lastly is to take care of your mental health and connection. Yoga and meditation can be beneficial to your mental health as well as your body. Studies have shown that over 12 weeks people who did yoga and meditation had improvements on their moods and lowered any kind of potential depression. Any type of exercise whether it’s running, lifting weights, dancing, or even water aerobics will lower your risk of developing dementia or other diseases. The key is to stay moving and stay active. The key to connection is simple….just making sure that you are staying in touch with family and friends. Try to stay in touch with close friends, make new friends or even volunteer somewhere to keep up with social interactions. 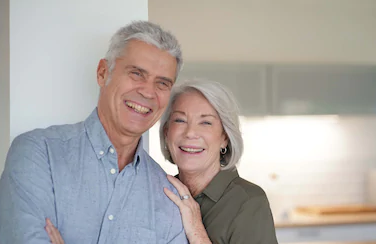 If you are in between trying to figure out if you need to retire or not a new study is saying that if you enjoying working where you are you should stick with it. It can bring fulfillment and keep you plugged in socially. Long Term Care will help you with everyday activities and tasks when you are no longer able to perform them on your own. It’s important to take care of you body and keep a healthy lifestyle so that you can not only live longer but lower your risk at developing dementia or other diseases. Checkout LTC TREE for more information on Long Term Care and Long Term Care Insurance.